The number and destinations of charter flights between the Chinese mainland and Taiwan during the coming Lunar New Year should be increased to meet the demand of Taiwan on the mainland, said an official in Beijing on Wednesday. The aviation organizations of the two sides have set the schedule for charter flights for the coming Lunar New Year. Six mainland and six Taiwan airlines will fly a total of 96 round trips, mainly during the periods from Feb. 13 to 26 and from Feb. 23 to 26. Yang Yi, a spokesman of the Taiwan Affairs Office of the State Council, said on Wednesday that although there will be 24 more flights than the Spring Festival of 2006, the number of flights, especially in Shanghai, cannot meet the demand of Taiwan on the mainland. "Tickets from the 12 airlines are sold out. We hope the aviation organizations of the two sides can negotiate an increase in the number and destinations of the charter flights," Yang said. The Spring Festival, which falls on Feb. 18 this year, is the most important occasion for family reunions in Chinese culture. The mainland airports in the program are Beijing, Shanghai, Guangzhou and Xiamen, while the airports in Taiwan are Taipei and Kaohsiung. Mainland and Taiwan airlines operated 72 non-stop charter flights during the Spring Festival in 2006, carrying 27,000 passengers. The previous year, 5,877 passengers took Spring Festival charter flights. Charter flights during major holidays arranged after talks between civil aviation associations of both sides are the only direct passenger flights across the Taiwan Straits. The first non-stop charter flights across the Straits were launched during the Chinese Lunar New Year in 2005. Cross-Strait charter flights were also available last year for Mid-Autumn Festival, also known as Moon Festival, which falls on the 15th day of the eighth lunar month and is also a time for family reunions. 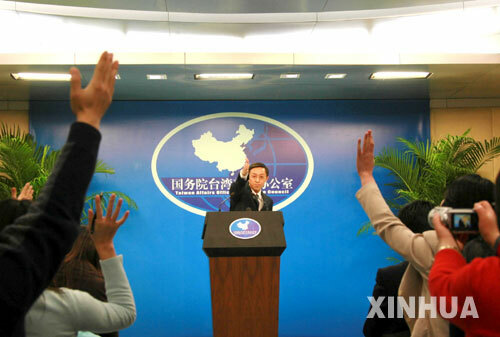 The mainland has called for regular cross-Strait charter flight services that extend beyond festival periods. "There is no technical obstacle to the arrangement of weekend charter flights and regular charter flights. The start of weekend and regular charter flights should be decided by the civil aviation organizations of the two sides," Yang said. He said normalizing cross-Strait charter flight services would also meet mainland demand for Taiwan-bound services, which are under discussion by the non-governmental tourism organizations of the two sides. "The two sides have exchanged views and reached a common understanding on many issues. We hope the Taiwan-bound routes for mainland residents can be opened as soon as possible," Yang added.